Acting Balanced: Sundays In My City - Mirror Mirror Girls Night In Party! Sundays In My City - Mirror Mirror Girls Night In Party! 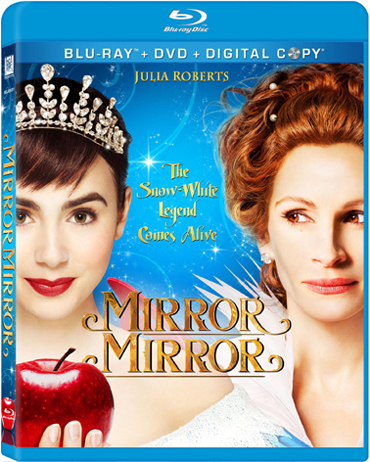 We got together the other night for a girls night in and had a chance to watch Mirror, Mirror with Julia Roberts and Lily Collins! We picked up some yummy snacks (no apples...) and settled in to watch the movie! My sister had a special connection to the movie, as her hubby is friends with Jordan Prentice who played Napoleon! But even without personally knowing the actors, the rest of us had a great time watching the fabulous gymnastics and swordplay of the dwarves, Snow White and the Prince. I was so busy getting my own nails done that I forgot to get a final pic... but let me tell you that they were incredibly cute! It was so great getting together to watch the movie with my family! It's something that we just don't do enough! I want to thank Think Jam for providing us with the movie, some great swag and a Walmart GC to facilitate our nail spa!